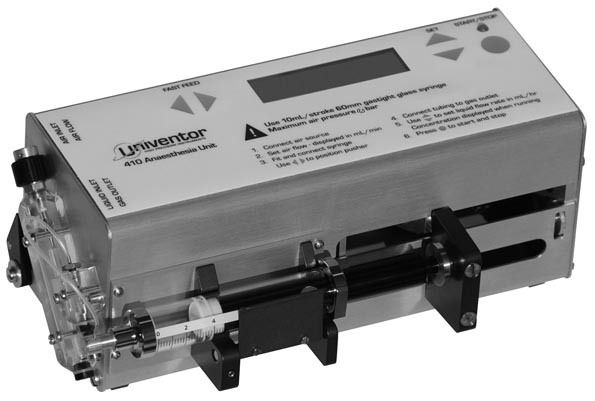 The Univentor Unit is a complete anaesthetic system with a built-in vaporizer and flowmeter. The unit is adjusted to be used with a membran pump for the inlet air, therewith making it very suitable for a "mobile" anesthesia set-up. You always have to use hydrofobic filter between the aipump and the univentor.